Almost a century ago, in the same Kensington neighborhood where we made this rum, William Cramp started a small family-owned business that eventually became one of the most important shipyards in America. From the first clipper ships that put us on the map in 1898 to the mighty Dreadnoughts that helped win WWI, The Cramp Shipyard built the American dream. 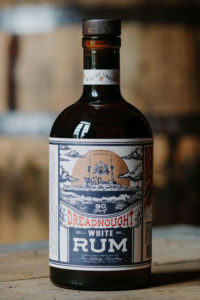 This white rum is our salute to the men who built the ships and the sailors who rode them to sea. Made with demerara sugar, fermented with a blue agave tequila yeast strain, and pot distilled for an old fashioned spirit that tastes totally new.